The Gander Flyers of the Newfoundland & Labrador Senior Hockey League have stepped up to show they are serious about the 2015-16 season by signing NHL veteran Arron Asham. Asham was drafted 71st overall in the 1996 NHL Entry Draft and has played close to 800 games in the big league with teams such as the Montreal Canadiens, New York Islanders, Philadelphia Flyers, New York Rangers and Pittsburgh Penguins. 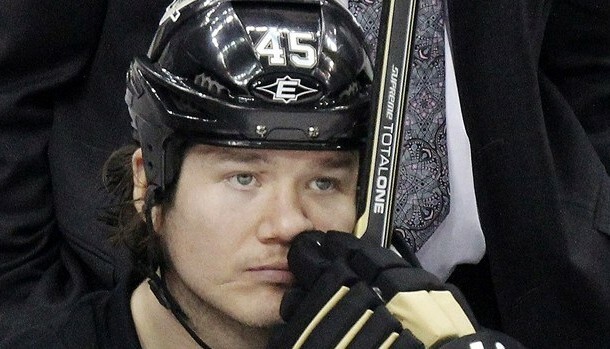 In his NHL career, Asham collected 94 goals and 104 assists for a total of 208 points, compared to over 1000 penalty minutes. He is not known for his scoring punch and is known more for his physical game, throwing the big check when necessary and dropping the gloves when necessary. He has been largely recognized as one of the toughest NHL players in recent history. Some have touted Asham as one of the most underrated players in the NHL given that he has put up 20 points in 6 of his NHL seasons. There is no denying that the addition of a player of this caliber to the Gander Flyers lineup will have an impact in the dressing room. Asham will bring years of NHL experience and after being coached by some of the best coaches in hockey, there is little denying that this will transfer over as well. There is also no denying that this will have an impact at the gate and will likely draw fans on game day. Some people in Newfoundland Senior Hockey circles have said that the impact of such a player will be minimal because the game has changed. There is little opportunity to be physical and there is no fighting in the league and this they say, will limit Asham’s physical presence on the ice. However, if we look at the impact that Darren Langdon has had on both the Corner Brook Royals and Deer Lake Red Wings, there is no denying his contribution to the team in both scoring and physical presence on the ice. The question that we ask here at Newfoundland Hockey Talk centers more on will this player be around for the entire season? He is just 37 years old, has plenty of NHL experience and can fill numerous roles on both NHL and AHL teams. Plus, given the tight financial situations that many of the local Newfoundland teams continually face, is this going to break the bank in Gander? Time will tell but one thing is certain. The fans in Gander and the entire league are in for a treat. Watch for Arron Asham having an immediate impact throughout this league. You can check out Asham’s stats below and discus Asham’s impact on the league on the Newfoundland Hockey Talk Discussion Forum.